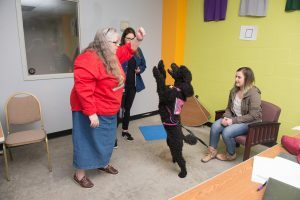 Main Street College to explore canine behavior, behavioral psychology“Going to the Dogs: How our furry friends help us better understand human behavior” is the title of the spring Main Street College event scheduled for March 27. 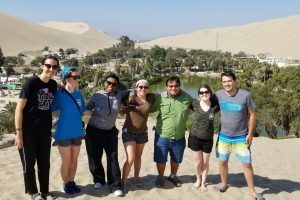 Faculty-led Study Abroad programs for Summer 2019Illinois State University’s Office of International Studies and Programs is pleased to share the faculty-led study abroad program offerings for the Summer 2019 term. ISU Chemistry Alumni and Friends are invited to join us for a networking gathering during the upcoming American Chemical Society national meeting in Orlando. The event is Monday, April 1, 2019 at Marlow's Tavern (9101 International Dr, Orlando, FL) from 5-7 p.m. The ChemLetter is a great way for alumni and friends to keep in touch. Read the fall 2018 edition. The department extends a warm welcome to our new graduate students who are starting this Fall 2018. Congratulations to Hope Fine, who, along with Clint Smith of the Dept. of Family & Consumer Sciences and Cassandra Cronin of University College, are the newest members of the Academic Advising Council for the 2018-2019 calendar years.